On the day the United Nations holds its first General Meeting on tuberculosis (TB), researchers announce a new TB vaccine that protects half of the people with latent TB. The experimental vaccine is developed by GlaxoSmithKline (GSK) in conjunction with Aeras, a nonprofit TB group, backed by the Bill & Melinda Gates Foundation. The results of the ongoing Phase IIb trial of the vaccine have just been published by the New England Journal of Medicine. The development of the new vaccine is an important step: it’s the first safe vaccine since nearly a century that shows protection against development in TB in infected individuals. 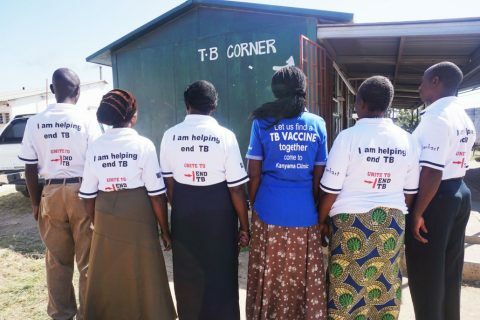 TB is the most deadly infectious disease worldwide. Over 4000 people die every day of tuberculosis, leading to 1.6 million deaths per year. This is more than HIV, malaria and Ebola combined. A quarter of the world’s population has once been infected and carries the ‘dormant’ tuberculosis bacteria. Of these latent TB carriers, 5-10% will become ill, and in some groups, such as people with HIV infection, cancer, diabetes or young children, that percentage is much higher. If TB is diagnosed in time, TB is generally curable within 6 months. Unfortunately, about one-third of patients fail to receive a quick, accurate diagnosis or effective treatment, making them more likely to die from this curable disease. A more effective vaccine is viewed by experts as key to controlling TB. The development of the GSK’s vaccine designed to stop latent TB from becoming active and causing sickness, is therefore promising news. The vaccine demonstrated an effect in HIV-negative adults. The global epidemic will not be solved by drugs alone. Prevention is the key to be able to meet the ENDTB targets in support of the SDG goals. Vaccines are the best mass approach to prevention of infectious diseases, so this news gives us hope that we can develop the tools of the future needed to eliminate TB. GSK is confident it can produce better results in the future, with larger trials set to refine the vaccine’s dosing schedule and potentially target specific groups of patients who are most likely to benefit. “It’s the first time we really tested the biological potential of our vaccine and we think that there is a lot of additional improvement now that we can bring,” the company’s head of vaccines research, Emmanuel Hanon, told Reuters. Photo: Zambart is one of the study sites in Zambia for the trial of the new TB vaccine. The trial is being conducted by Aeras and GlaxoSmithKline.